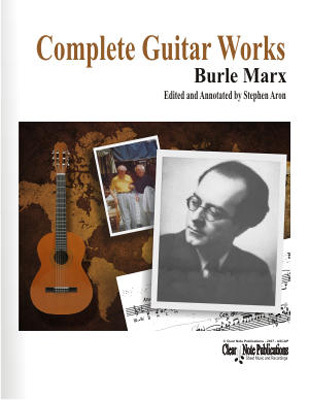 This folio of solo guitar works is a true discovered treasure. I had the good fortune to become friends with Madalena Burle Marx, the composer’s daughter, and her husband, James Ryon, when they lived in Akron, OH. Ryon was the oboe professor for many years at the University of Akron, and Madalena held the position of principal cellist with the Akron Symphony Orchestra, and played with many ensembles in the area. I enjoyed playing chamber music with both of them on several occasions. When the subject of her father’s guitar works came up, naturally, I was intrigued. They were written for Andres Segovia, at the great performer’s suggestion; the two had a lasting friendship. Unfortunately, circumstances prevented them from being played by him. Instead, the scores languished, virtually unknown.